This is honestly one of the quickest sides in the entire world to prepare. It perfectly compliments any meat dish well and taste absolutely fabulous! I think the most amazing part is that all of the required ingredients are probably sitting in your cupboard waiting to be used. Dice potatoes into bite size pieces and place into a baking pan. Drizzle olive oil over potatoes. Mix potatoes to ensure that they are all covered. 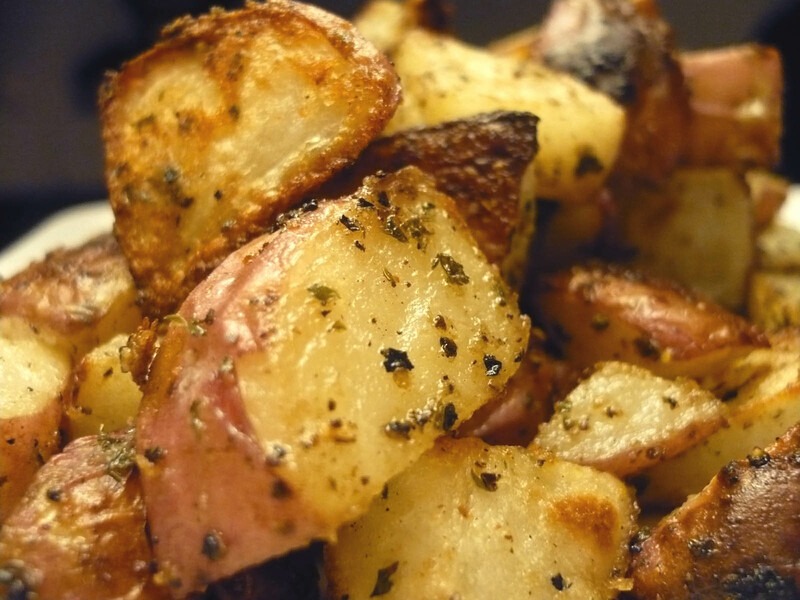 sprinkle garlic, parsley and salt over potatoes. Mix to ensure that the seasonings are evenly dispersed. Place into oven for 25-30 minutes. Occasionally check and stir potatoes to ensure that all sides are cooked.